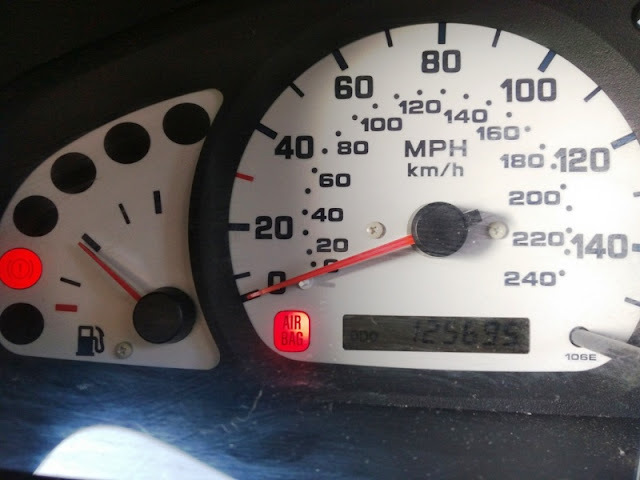 They say knowledge is power and when it comes to knowing about cars, it's no different because when a warning light comes on, it can mean a whole host of things triggering it! 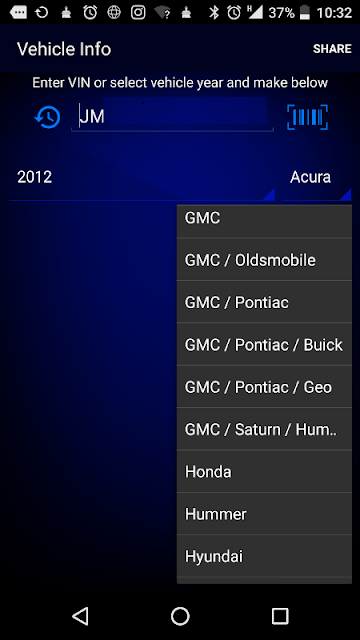 A dealership can do an OBD2 fault code read, which isn't cheap. Granted, there are places that offer free OBD2 scans but as the saying goes there ain't no such thing as a free lunch! Owning your very own OBD2 scan tool means you will have it for years and never have to worry about getting incorrect code read outs from a car parts store! 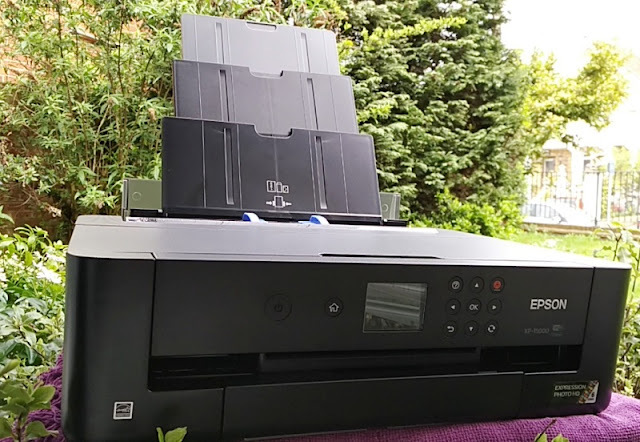 This is why a scanner car diagnostic code reader like the BlueDriver scan tool is a heaven sent as it puts you (as a regular driver) on an even plain field with motor vehicle places. 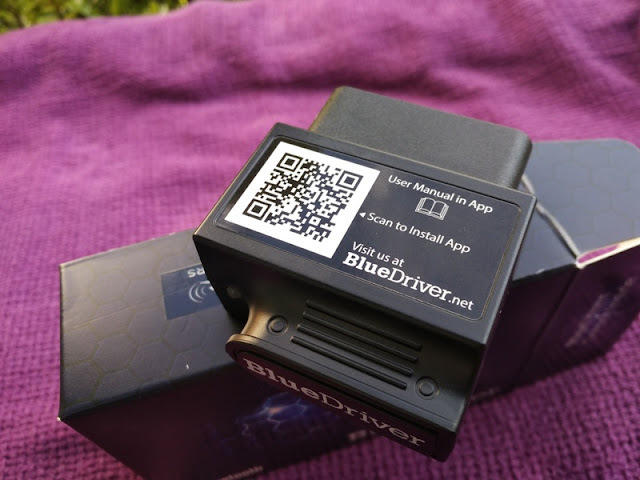 With the BlueDriver OBD2 scanner, you can see what's wrong with your car in real time and troubleshoot any issues yourself. 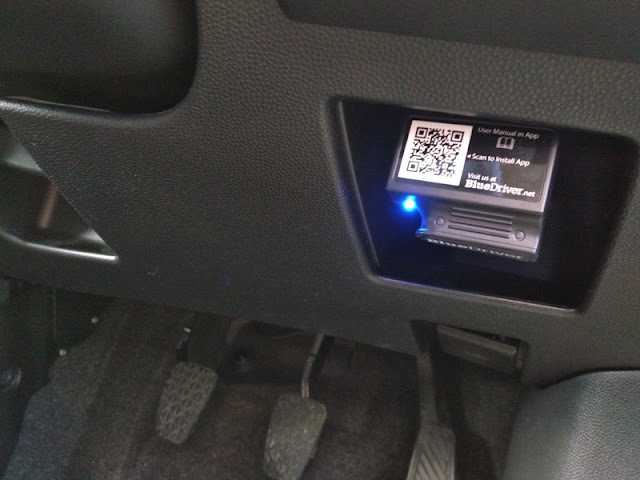 The BlueDriver OBD2 scanner works off of Bluetooth so if you own a smartphone or tablet you are good to go as there are no wires to connect and the companion app is free to download for Android and Apple devices. 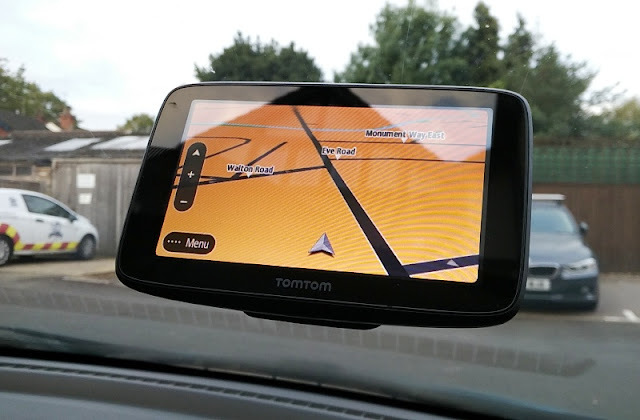 You can watch and graph live data of your car to see things like fuel trim and engine load from the comfort of your car seat while gauging an understanding of what's going on with your vehicle so you can properly diagnose any problems. 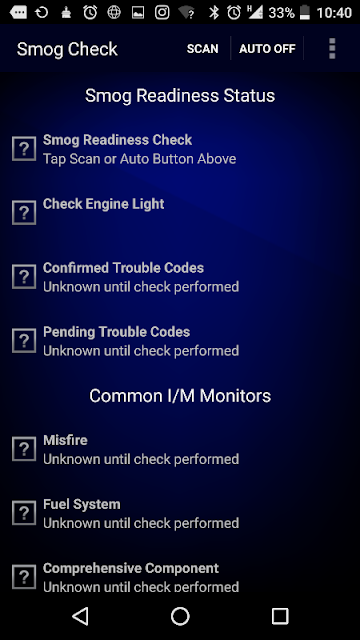 From the BlueDriver app, you can see possible causes of the Check Engine Light, how to fix it and read reported fixes by other BlueDriver users. This is what really sweetens the deal when buying the BlueDriver Bluetooth scan tool. You get continuous vehicle and fix report updates, which is priceless considering more expensive OBD2 scanners don't provide you with as much information as the BlueDriver does. Plus, you can diagnose a huge range of cars and there no annual licensing fees to pay. The BlueDriver app also allows you to share information on social media or save it into PDF and email it to yourself or someone else. 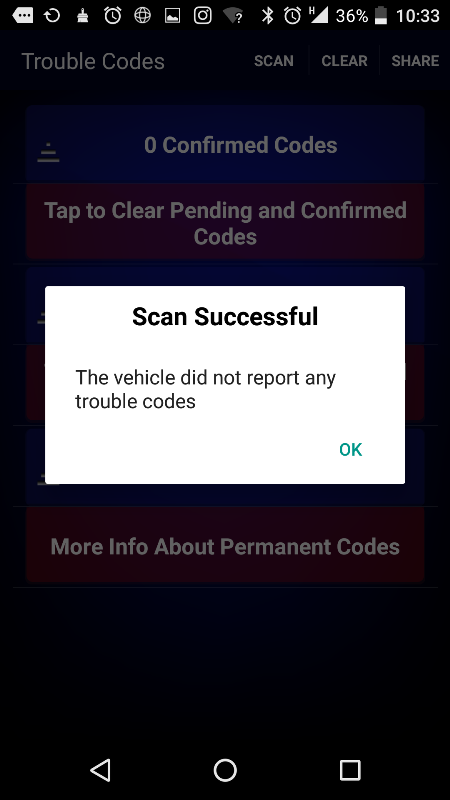 If your vehicle is a newer model, the vehicle information is pulled up automatically when the app connects to the BlueDriver device so you won't have to enter the VIN number manually. 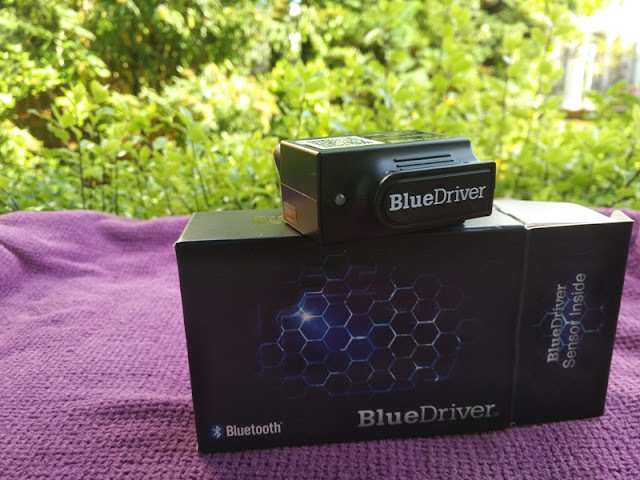 The BlueDriver OBD2 scanner plugs into the OBD2 port of the car so if you own a car sold in North America from 1996 onwards, the BlueDriver OBD2 scanner is compatible. The BlueDriver diagnostics scanner also works with cars sold in Europe (2001 and newer for petrol and 2004 and newer for diesels). If your car is sold in Australia and New Zealand, the BlueDriver works on 2006 and newer models. Setting up the the BlueDriver OBD2 scanner is straight forward. 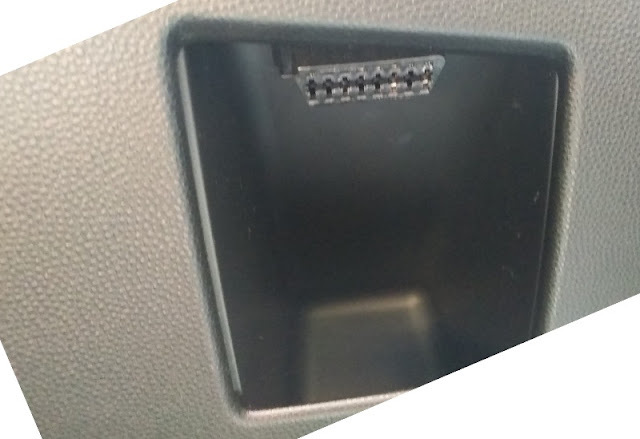 Simply locate the OBD2 port in your car (usually near the steering column), match the connector and push the device right in. Next step is to download the BlueDriver app from the PlayStore or AppStore. 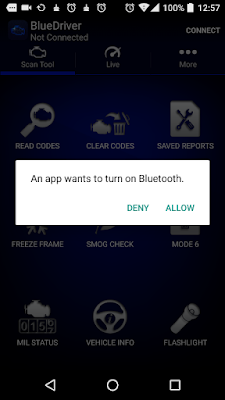 Once installed and open the app, a message prompt will come up saying "an app wants to turn on Bluetooth". 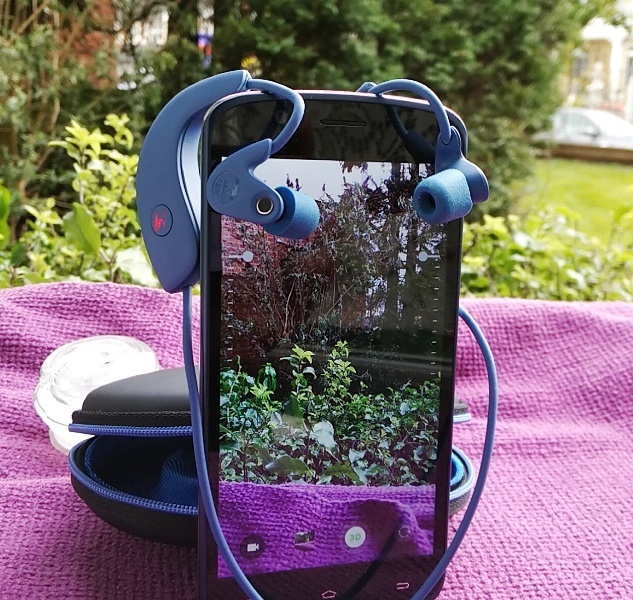 When you allow it, the Bluetooth is turned on and you are connected to the app automatically. 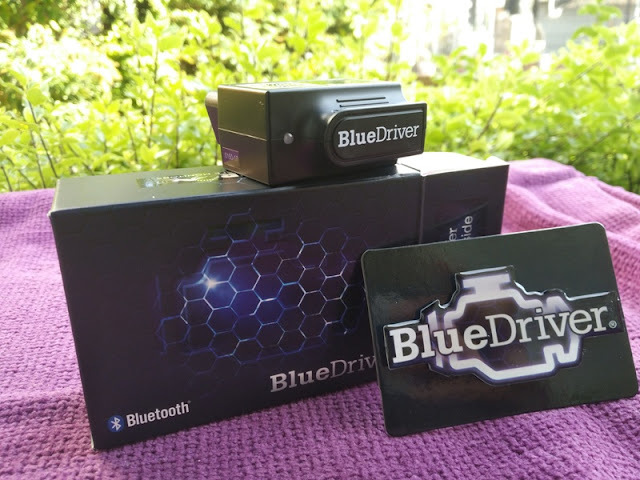 Make sure the key in the ignition is in the ON position as the BlueDriver tool is powered by 12 volts (the engine doesn't need to be running in order for the app to connect to the BlueDriver device. 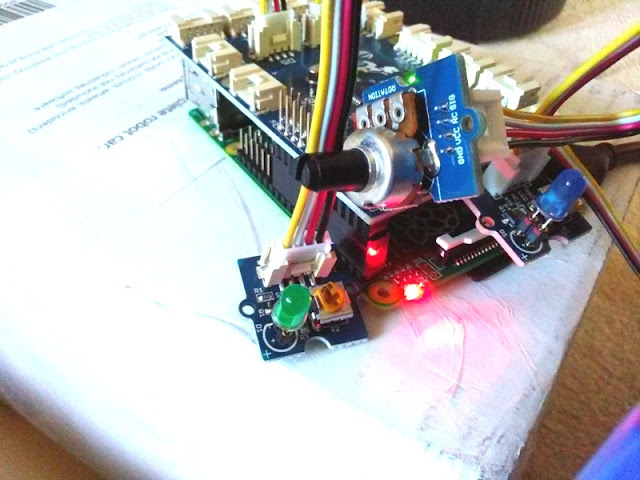 If the LED flashes red, that means there is a problem with the connection). 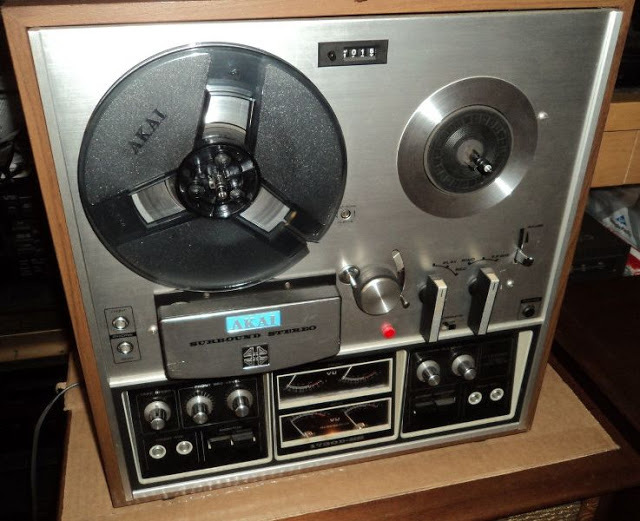 Once connected, you will be presented with the above home screen interface, which is simple and easy to navigate. You can read codes, clear codes, and see repair reports if you have any codes, as well as check the Malfunction Indicator Lamp (MIL) Status (a.k.a. check engine light) to see how many miles the car was driven with the Check Engine Light on. The Mil Status feature comes really handy when looking to buy a second hand/used car and spot any past issues. 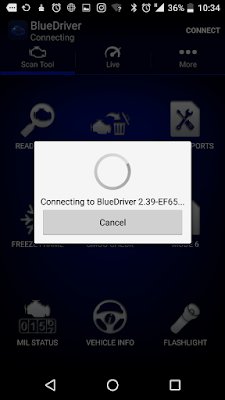 At the bottom right corner of the BlueDriver home screen, you see a flashlight for turning on the flashlight of your smartphone. 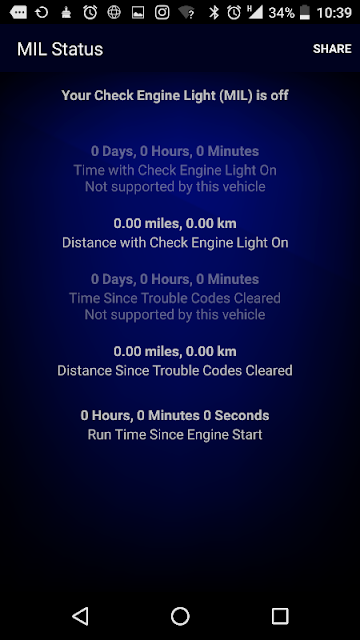 If you have a Check Engine Light on and want to see when the Check Engine Light was triggered and under what conditions (i.e. 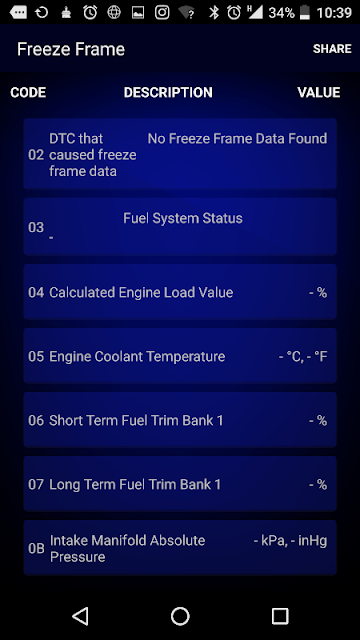 engine load, vehicle speed, etc), you can do this by selecting FreezeFrame data, which takes a snapshot of the vehicle when a code is triggered. When clearing codes, you get a warning message letting you know that clearing codes does not fix the issue, which is a good bit of user information. 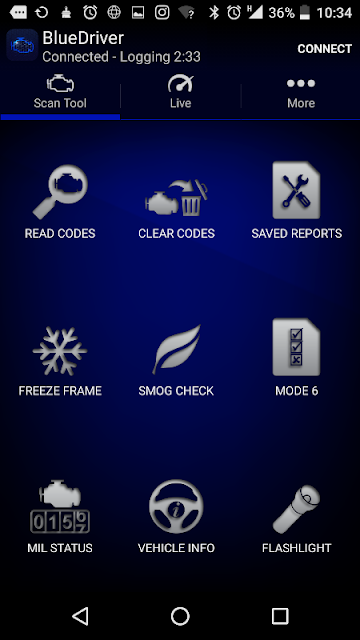 Another great feature the BlueDriver has is Mode 6 which further helps you to narrow down any issues with your car by checking each sensor to see if they are within the car manufacturer's maximum and minimum parameters. 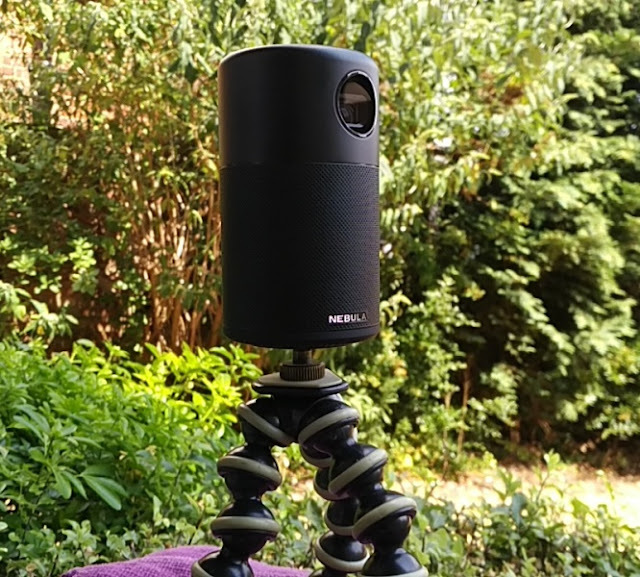 If they are within the parameters, the sensors will show a green check-mark. 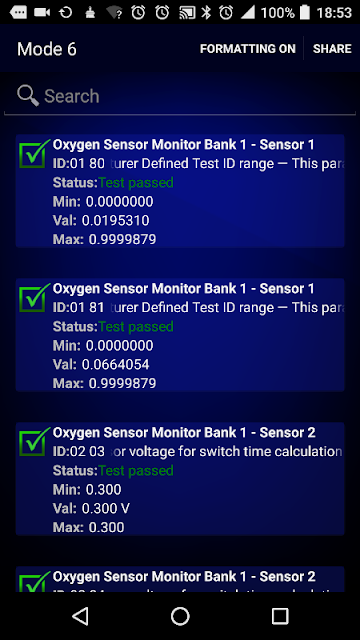 If the sensors are outside of the parameters, you will see a red x mark and the Check Engine Light will turn on. If the sensors are close to falling outside the parameters, you will see a yellow triangle with an exclamation mark. 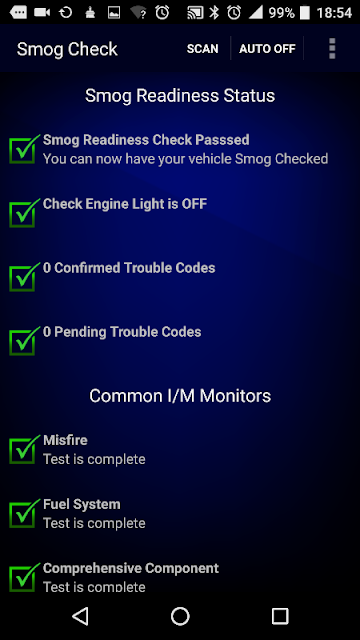 There is also a Smog Check feature for checking the exhaust fumes and see if you will pass the emissions test. 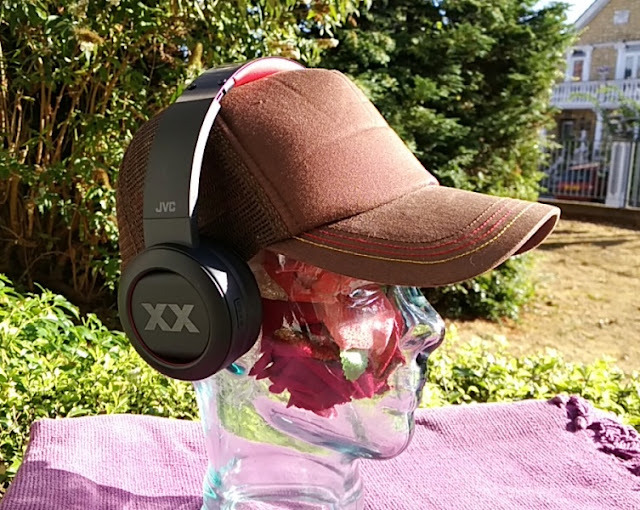 If you live in the UK, the MOT checks the CO (0.2% or less) percentage and HC PPM levels (less than 200 parts per million), as well as the CO2 sensor value which needs to be between 0.97 and 1.03. At normal idle, the CO value must be at or less than 0.3%. When you do a code read out, the application can run a scan Check Engine Light scan or full scan, and read trouble codes from the Check Engine Light scan as well as Transmission Codes, ABS Codes, Airbag Codes and other codes. As of right now, the BlueDriver can check enhanced codes for GM, Ford, Chrysler, Nissan, Toyota, and North American BMWs cars. 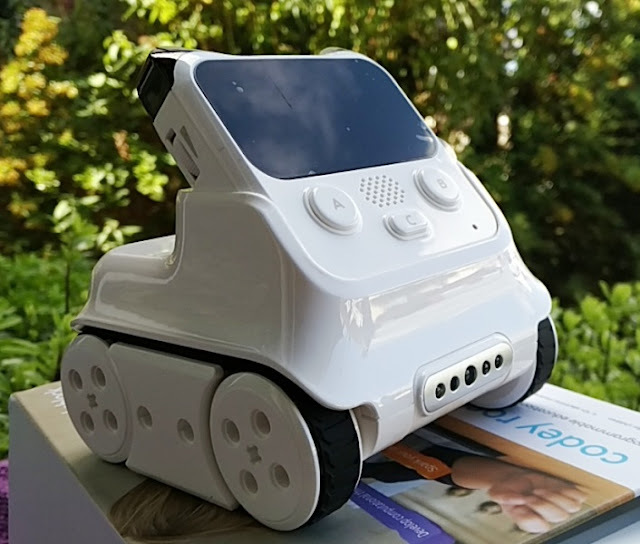 The makers of BlueDriver, Lemur Vehicle Monitors, are working on adding enhanced codes for European sold vehicles to the database in the near future. 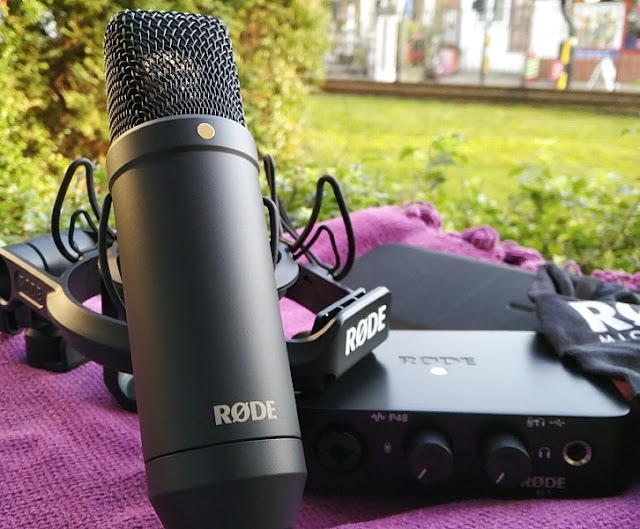 There is BlueDriver support via a BlueDriver engineer available on live chat and email to answer any questions in the meanwhile.